Bethany Christian School would like to introduce The Kitty June Shepherd Gymnasium!!! 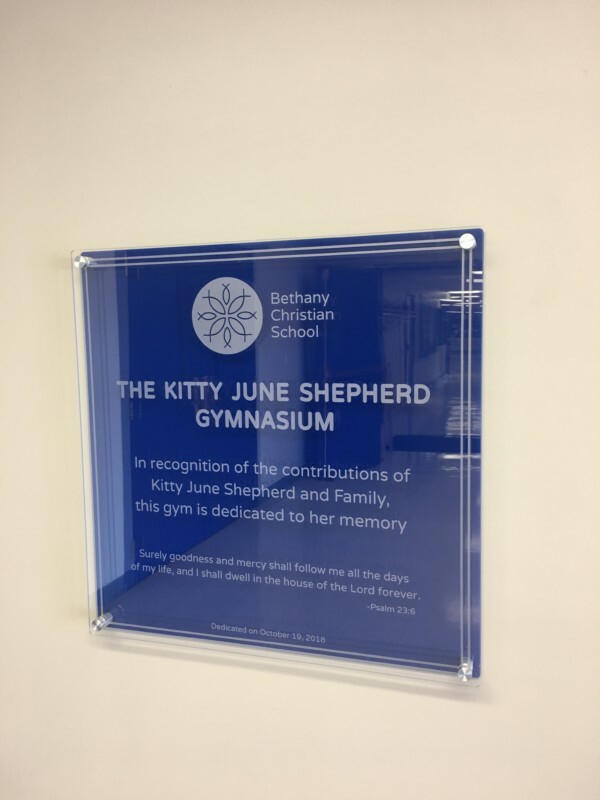 In recognition of the contributions of Kitty June Shepherd and Family, the BCS gym is dedicated to her memory. Kitty June passed immediately into the arms of her Savior, the Lord Jesus on Monday, March 19, 2018. Kitty June was the foundation for Bethany Christian School. Her countless hours of dedication will never be forgotten and we are so thankful for her amazing heart of God. Please visit our Facebook page for the Before and After Photos.